SuperFogeys - New VIDEO Interview with SuperFogeys Artist Marc Lapierre! 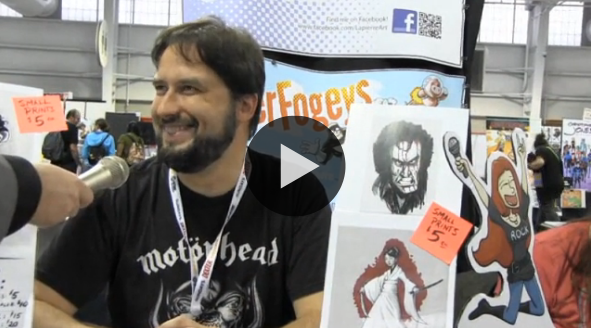 New VIDEO Interview with SuperFogeys Artist Marc Lapierre! Hey all, great, short new interview with Marc here. He talks about why he decided to work on SuperFogeys, what makes SF different from other webcomics and hints at the future of his own webcomic, Spooky Doofus. Check it out! Nov 10, 2011 SUPERFOGEYS JOINS THE COLLECTIVE OF HEROES! Jul 13, 2015 SuperFogeys Issue 6 Now on Comixology! Jul 13, 2016 THE SUPERFOGEYS 2016 RETURN DATE!